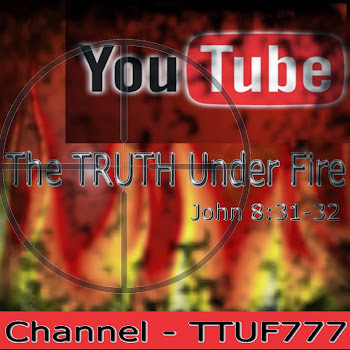 We now continue with this article, and proceed with an examination of John MacArthur’s book, The TRUTH War, and we will then wrap it up with a look into the scriptures themselves on the subject of Truth, and how it affects us and our world. If only false teachers wore black capes and tall black top hats, with long curly mustaches and giggled with malevolent intent (and attempted to tie damsels in distress to railroad tracks wouldn’t hurt either!) to properly identify them! The very fact however that such false teachers and prophets are deceptive is readily demonstrated by the use of analogies made by the LORD Himself: “Sheep in wolve’s clothing,” “white washed sepulchers,” “tares among wheat,” “transforming apostles,” etc. As MacArthur accurately points out, such people and conduct are referred to in Jude :12 as “spots in your love feasts”. ‘Spots’ in the Greek is spilas, and it refers to dangerous reefs or rocky protrusions just under sea level that would prove destructive to any unsuspecting vessel happening by. Such false teachers were (and are!) capable of tremendously disastrous spiritual shipwrecks as in 1 TIM 1:19. Such evidences of potential infiltration into the church by false teachers and false brethren are easily found in such admonitions and commendations by the LORD Jesus Himself in passages like REVELATION, chapters 2 and 3 (REV 2:2,6,9; 14-16,20). In 2 THESSALONIANS Paul had to undo the damage done by some other by writing and addressing the false teaching that the LORD had already returned and gathered His people to Himself (and that they were left behind). Such false brethren and their influences were warned against by Paul in his instruction to Timothy, namely Hymenaeus and Philetus (2 TIM 2:17), “who have strayed concerning the truth, saying that the resurrection is already past; and overthrow the faith of some” (vs. 18). Likewise the apostle John warned against Diotrephes (3 JOHN :9). Who were some of these false teachers and systems of false belief, and have they survived in today’s world, to even now confront and infest the church with their errors? Two groups that were prevalent in those days were the Judaizers and the Gnostics. In The TRUTH War, both are addressed. The entire book of Galatians, written by Paul was a biblical refutation of the Judaizers and their teachings of salvation by the inclusion of works. The claim was made that salvation indeed came through Jesus Christ and faith in Him, but that this was insufficient; works were also required (such as circumcision and the keeping of the law). Paul went so far as to pronounce an “anathema” on any one who brought in “another Gospel” and “another Jesus” and would not tolerate (there’s that politically incorrect word again!) any kind of heresies, false teachings, or erroneous beliefs based not on God’s Word, but tradition or at the least a misapplication of God’s Word. ACTS 15, and the entire book of Hebrews, and throughout the New Testament, one sees how the Judaizers and their teachings were quite pervasive, ceaselessly endeavoring to gain a foothold in the church; the lengths of this endeavor was so powerful that even for a time, the apostle Peter, as well as Barnabas was led astray by it, as documented in GALATIANS 2 where Paul had to rebuke Peter for his inconsistency. “The difference [between Paul and the Judaizers] concerned only the logical – not even perhaps, the temporal – order of three steps: Paul said that a man (1) first believes on Christ, (2) then is justified before God, (3) then immediately proceeds to keep God’s Law. Paul preached the truth of this; the Judaizers denied it. “Before the controversy with the Judaizers was completely quelled, another battle had already broken out on a whole new front in the Truth War. Primitive forms of Gnosticism began to creep into the church. Most of the later Epistles argue against the ideas that were fundamentally Gnostic. The doctrinal arguments John makes in his first epistle, for example, make a fine catalogue of replies to some of the favorite false doctrines of Gnosticism. For the Gnostic the concept of ‘truth’ was a secret only known by a select few; elevated and enlightened minds who alone could perceive the sublime nature of it. Often they would borrow ideas, myths, superstitions from pagan mystery religions and various human philosophies. Eventually they came to write their own ‘more enlightened’ gospel accounts and presented them to the world at large as inspired of God. Gnostics became wealthy as their followers were given the many secrets and esoteric knowledge, but at a price, which their followers gladly paid. With careful and deliberate synthesis of Christian symbolisms and terminology, Gnostics were able to fool many Christians with their philosophy. By simply creating a glossary of terms, identical in wording, but quite different in definition, Gnostics were able to pass themselves off as Christians, but of a far more enlightened brand. “Just as Judaizers’ doctrine obscured the gospel by burying it in Jewish tradition, Gnosticism altered every distinctive of Christian truth by overlaying it with pagan ideology. Like the Judaizers, the Gnostics denied justification by faith and thereby shifted the focus of the gospel. The message they proclaimed instead was all about what people need to do to gain enlightenment (The Gnostics substitute for salvation) – rather than the truth of what Christ did to save helpless sinners from divine judgment. Since Gnosticism attacked the truth at the very foundations, every variety of this error needed to be answered and strongly opposed. And this was no easy task. One sect of Gnosticism, led by a man named Cerinthus, subverted the doctrine of the incarnation, God made flesh, and taught that Jesus (the human person) was actually indwelt by a divine spirit being known as ‘the Christ’. Further, that Jesus’ own deity was mere illusion and any divinity was the influence of the Christ-Spirit that possessed him (for a time: from the point of Jesus’ baptism up until the time he was crucified, they say). Some of the pseudo-Christian writings, which were actually Gnostic to the core, are two gospels: the Gospel of Judas, and the Gospel of Thomas; supposedly relatively recently discovered works that revealed ‘new truths’ but were in all actually well documented, quite familiar Gnostic works that did nothing to expand theological, and doctrinal truth, but on the contrary, were opposed to such. For example, the Gospel of Judas was first mentioned by Irenaeus who rightly identified it with a rather evil Gnostic cult that viewed Cain, Esau, the men of Sodom, Korah and others as heroes of the faith (?!). Obviously, they also viewed Judas himself as a ‘hero’. This concludes this summary of John MacArthur’s fourth chapter in The TRUTH War. Now we turn to the scriptures themselves and see what the Holy Word of God has to say about Truth. This would prove to be quite the exhaustive task, as any cursory examination of a concordance would reveal. Sufficient for our purposes here, would be a brief overview of this vital subject, and it’s our hope at TTUF that this will whet your appetites and propel you on to your own study! Doing a word search for ‘truth’ in the Bible is rather like looking for water in the ocean. It’s EVERYWHERE! So how does one go about a word-study about truth in the Word of God? Rather selectively, by category; and that’s exactly what I’ve done. I decided to start with the Old Testament and focus what it has to say about the Truth, and have placed the various scriptures into certain headings with associated titles. The keepers of God’s Truth are His delight – PROV 12:22; ISAIAH 10:20. The keeping of truth brings God’s blessing, salvation and knowledge – PSALMS 15:2; 40:11; 45:4; 57:3; 60:4-5; 61:7; 69:13; 85:10; 91:4: 98:3; 146:6; PROV 23:23; ISAIAH 26:2; 38:3; 65:16; JER 4:2; 33:5-6; EZEK 18:8-9; ZECH 8:3,8. God’s truth has a preservative effect, even when there are those who are intent upon our destruction, or those that “would swallow me up”. Our hope in God is reliable because He keeps truth forever; because of this, both God and the Truth are immutable, or incapable of change. Thus we can place faith in God and never be disappointed. Because God is a God of Truth, we can take comfort in the truth that justice will ultimately be served for He “executes judgment (justice) for the oppressed. ISAIAH 59:4,14-15; JER 5:1-3; 7:27-28; 9:3-5; DAN 8:12-14, 25; 9:13; HOS 4:1-3. The judgments and ordinances of the LORD are Truth – PSALMS 19:9; 33:4; 54:5; 89:14; 95:13; 111:7-8; 119:43, 142, 151; ISAIAH 16:5; 25:1; 42:3; 59:16-18; JER 4:2; DAN 4:37; ZECH 8:16; MAL 2:16. Note that here, the very same God that upholds and helps one person is also the same God that cuts others off and rewards them for their evil. What is the difference? Those cut off, never set God before them, that is, they never acknowledged or regarded God for Who He is; and those who are helped and upheld by God (such as the Psalmist here) are those who do acknowledge God and regard Him. God will discriminate the one from the other by means of His Truth. See that the LORD lives, in Truth, Judgment and Righteousness, and if a nation bless themselves with God and His attributes and actions, they will indeed be blessed and shall glorify God. PSALM 25:5,10; 26:3; 43:3; 51:6; 86:11; 89:49; 119:30,43; 132:11; PROV 22:21; 23:23: ISAIAH 61:8; DAN 9:13; MIC 7:20. What a comfort to know that God will guide us and make provisions in accord with His promises in an uncertain world of bewilderment and deceit. As partakers of the New Covenant (JER 31:31) we can be assured that the paths God leads us, and will lead us upon are paved in His mercies and His truth! PSALM 30:9; ISAIAH 38:18; JER 3:1-3. PSALMS 31:5; 85:11; 86:15; 115:1; 119:160; ISAIAH 10:20; 65:16; JER 4:2; 10:10; ZECH 8:8. Our entire faith is predicated on the fact that God is a God of Truth, that there is no lie in Him (NUM 23:19; 1 JOHN 2:21,27). In allegory, God is compared to a rock, unchanging, immutable, etc. and this is properly so, for God Who is perfect in all of His ways, cannot change, for if He did, He would no longer be perfect. PSALM 40:10; PROV 8:7; 12:17,19; 22:21; ISAIAH 38: 19; JER 28:9, 15; ZECH 8:16; MAL 2:6. In this personification of wisdom, that is the wisdom of God’s Spirit we have these words, and we understand that the greatest and most faithful of those who declare the Truth of God is the LORD Jesus Christ. To incrementally lesser degrees (but no less valid) are those saints who will not shrink back from declaring God’s Truth and the blessed reward for doing so, even in the face of obscene opposition and persecution. The prophet which prophesieth of peace, when the word of the prophet shall come to pass, [then] shall the prophet be known, that the LORD hath truly sent him. Jeremiah was a strong opponent against the false prophets of Israel that did not represent the Truth of God, and even though it cost him dearly (as it did to all the prophets that were sent to Israel), he nonetheless was faithful to declare the truth of God. Long before the invention of airplanes and hot-air balloons, the idea of attaining to the heights of the clouds was unimaginable. In today’s vernacular we might well say that “thy truth unto Andromeda;” something truly unobtainable by human powers. Yet the LORD in His mercy and humility has deigned to bring us lowly beings His Truth! Even the most prideful and self-glorious individual can be humbled and realize the Truth; take Nebuchadnezzar for example. After seven years of insanity, and animalistic behavior, groveling in the dirt and eating grass, this once proud and obstinate Emperor lifted up his eyes at the end of that condition and said: “Now I Nebuchadnezzar praise and extol and honour the King of heaven, all whose works are truth, and his ways judgment: and those that walk in pride he is able to abase.” See DAN 4:37. PSALM 85:10; 145:18; PROV 14:22; 16:6; ISAIAH 10:20. I find this passage particularly intriguing, full of biblical truth, and quite revealing in light of the New Testament. I believe it was Plato that stated (around the 3rd century B.C.! ), “It may be possible for Deity to forgive sin, but I can’t see how.” This is extremely perceptive for one of his culture, recognizing a dilemma that isn’t necessarily self-evident. If God is holy, He cannot tolerate even the slightest sin. Yet if God is love, how can He not? However, how can these two attributes be reconciled? How can Truth (that by the Law of God that expresses truth) coexist with Mercy (that longs to bestow forgiveness and withhold any charges against the helpless sinner)? How can the righteousness of God (that must mete out judgment on all unrighteous deeds and thoughts) coexist with peace (that would desire reconciliation with the unrighteous)? The answer is found in vs. 11 of this passage! Jesus, Who declared Himself to be the Truth (JOHN 14:6) ‘sprang’ out of the ground, that is, the garden tomb, resurrected from the dead! Having paid the penalty of sin, died for our sins personally, and defeated both sin and death by His resurrection, the righteous eyes of the Father looked down upon the propitiatory (a satisfactory sacrifice) atonement paid for by the Son and because of this, mercy and truth are met amicably together, and righteousness and peace have kissed one another! 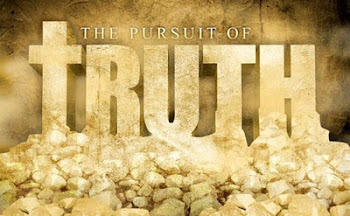 The Truth is Eternal and Immutable – PSALM 100:5; 117:2; 138:2; ISAIAH 61:8. The book known as the Holy Bible is one whose destruction has been sought after by generations of Truth-haters. From Pontiff Persecutions to marauding Muslims, even to hateful Hindus and acerbic Atheists, this Book has known more hatred (and more love by the way), than any other book in history. Here we end the first half of this third installment on GOT TRUTH? We will continue in the second half immediately; it is our hope that these articles bless and encourage you in the LORD Jesus Christ. D. Martyn Lloyd Jones - "A Question of Priority"